Which countries are the most (and least) committed to reducing inequality? 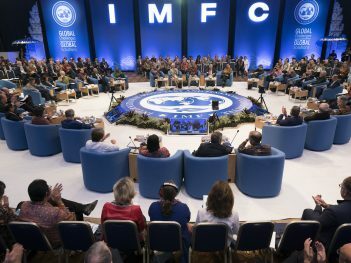 Notes from the 2017 World Bank and IMF Annual Meetings session on the IMF's approach to inequality, 13 October. The session aims to get to the core on what the IMF is and should be doing to address inequality. 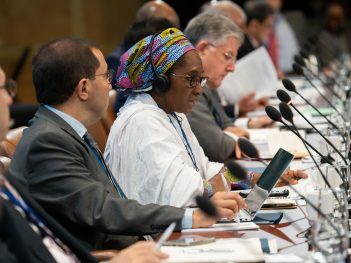 It discussed new civil society research that seek answers to this question, and takes a closer look at specific country examples including Zambia where the IMF is currently negotiating a new loan program. We have heard a lot about inequality during this week at Annual Meetings. 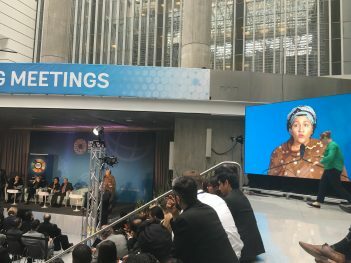 Multiple papers have been released on the subject, Winnie Byanyima of Oxfam was given a full hour to speak on inequality here at the IMF. The fight inequality alliance has been out in full force. Many of us have been excited about the Fiscal Monitor’s focus on inequality. The report Are the Multilateral Organisations Fighting Inequality has been published (see FES’s website), and now Oxfam has released its paper Great Expectations: Is the IMF turning words into action on inequality? (see Oxfam’s website), which focuses on its work in surveillance. We will start with Chiara presenting that paper. We have seen the Fund recognise that tackling inequality is essential to its own mandate of growth and stability. Yesterday we saw in the Fiscal Monitor that the Fund keeps moving forward on this issue. With these powerful messages the Fund has contributed to shift the global debate on inequality. But the Fund can cast its power beyond words and use its policies. We want the Fund to use its full powers to decrease inequality. So we at Oxfam have started asking what this looks like in operationalisation. We were told there were surveillance pilots that systematically integrated inequality. We looked at these in detail. What was the methodology? What were the policy recommendations on gender, tax, labour markets and social spending? We had great expectations. Things we expected to see included things like an analysis of the main drivers of inequality and distributional analysis of the main policy changes suggested. We were hoping to find progressive recommendations. Critically, we were hoping to see some attempt of an overall assessment of core macroeconomic policy on economic inequality. We found some good things. In particular, in some countries there was a general equilibrium model applied to look at some distributional impacts of some policies, in particular the impacts of value-added tax (VAT) increases and subsidy cuts. Some of the best practices we found were in Guatemala, where we found a comparison between distributional impacts of personal income tax versus VAT, which unsurprisingly found the former more beneficial. One of the main findings of the report is that the way the policies are applied is not coherent. It is not clear what is ‘macro-critical’. Let us say inequality is found to be a problem for growth and stability, and this was the case for countries where pilots were taking place. If this is the case, one progressive tax measure or some safeguard of social spending is only a baby-step to the challenge you have. And these baby-steps are measures each country should implement. No measurement of how much inequality should be reduced matched with policies that specifically try to tackle that. We found no assessment of main macroeconomic policy advice, in particular of fiscal adjustment. Again, while it is good to do safeguarding of social spending there needs to be a check whether that is feasible together with the suggested structural adjustment plans. We also found no progressive labour market policies except the US. One very common measure found was cutting the wage bill. So, we do like this initiative of the IMF. We would like it to be mainstreamed in all countries. We have some suggestions outlined in the report. Establish criteria for when inequality is ‘macrocritical’, which should mean when it needs to be included in surveillance. Monitor some key indicators establish a threshold. Start thinking of how to do this assessment of core policies which is what really makes the difference. Learn about the impacts of policies so you can maximise positive impact on poverty instead of using a compensatory approach. Finally, we want this agenda to be pushed forward in lending and conditions. A new global ranking of governments based on what they are doing to tackle the gap between rich and poor. 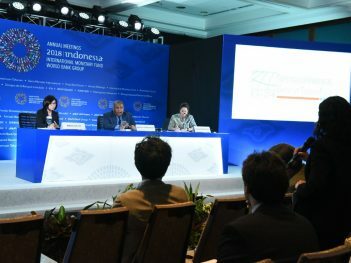 One of its main findings is that three-fourths of governments around the world are doing less than half of what they could be doing to reduce inequality, so there is a huge need for progress and advice from institutions like the IMF to advance this agenda. Is IMF tax practice progressive? 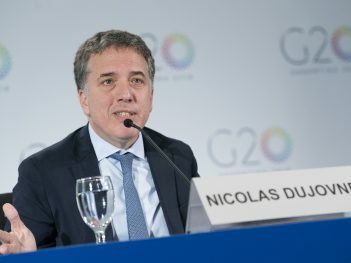 The report found little evidence of anti-inequality tax recommendations of the IMF in surveillance. It found very little delivery on making tax more progressive. 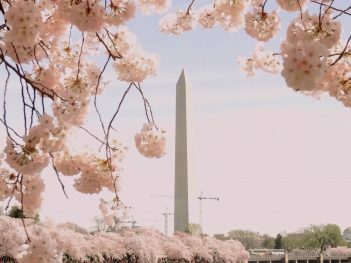 This Financial Impact Report assesses the role of the international financial rule-making organizations in reducing economic inequalities. 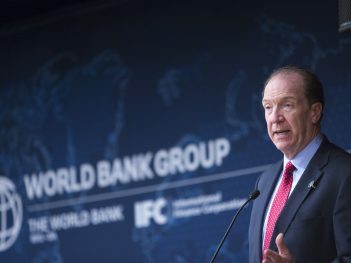 Some of the main conclusions on the IMF are that, compared to others like the World Bank, it looks better than other organisations with regard to inequality but only because everyone is doing very badly. Only the ILO on labour is making real impacts on inequality. The IMF is really lagging in particular on labour and social protection, but we see more positive signs on tax and perhaps gender equality. It is important to discuss the politics of this and internal dynamics. 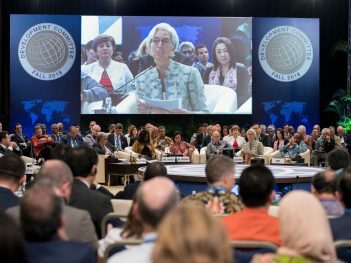 Some IMF board members still do not think equality is ‘macrocritical’. Even in Sweden, it is macrocritical. It would be great to have the IMF step up and take on the difficult discussions on inequality, like a discussion between the IMF and the US government for example, who is being really regressive. The key of this will be when the IMF has to speak up globally for these policies. I am representing civil society in Zambia where the IMF is engaging on a loan programme and is in an inequality surveillance pilot. In Zambia there are a lot of civil society organisations (CSOs). We started working in networks to help coordinate our work. I am now part of a network of 50 CSOs that work on poverty and inequality. In 2015, when IMF talks started, CSOs came together and set out our hopes and concerns, because we had had bad experiences with the IMF on inequality. We engaged with finance ministers and were able to express our concerns with the IMF programme. That took us to the end of 2015 to mid 2016. As discussions built, we received invitations of the IMF mission chief to discuss the programme as well. As a result, we as CSOs engaged with the mission chief and shared our views on subsidies and social protection. But that is where it ended. There was no feedback mechanism, no idea how much our views were being incorporated. That was a weakness of the process. So, we aree asking for a more structured, rather than ad-hoc approach to consultation with CSOs. We have heard this was perhaps done well in Ghana, where CSOs were part of the actual negotiation process. This is important because initially, the citizenry of Zambia was generally not enthusiastic about a new IMF programme, so engagement helps gain support for upcoming reforms before they are decided upon and implemented. Let me start by making clear we at the Fund do care about extreme inequality. It is counterproductive for economic growth and stability. One thing we learn from operationalising this policy advice is the value of consultation and collaboration. I am being very sincere, you provide a different perspective. That helps us enhance our analysis and quality of policy advice. We should have deeper engagement with one another. This operationalisation initiative began in 2015. Now it is in technical assistance (TA), surveillance and lending. So far we have completed 27 gender pilots and 28 inequality pilots. To respond to a few points of what was said earlier: I agree we need to see a more systematic analysis of drivers of inequality. We did that relatively well for Poland. They were doing well economically, yet the government was voted out of the office. This is where we come to inequality, whether growth is trickling down to everyone. There were big divisions within the country we found. You mentioned there were no distributional impact assessments done. But in Guatemala, we did look at the impacts of the entire package of policies. That same model has now been applied to a dozen countries. The advantage of the model is that you can look at the entire policy package, tax, expenditure, etc. Uganda is where we looked at distributional effects of infrastructure, Honduras as well, where we looked at ex-poste implications of the tax reform. We found the reforms were progressive. The Oxfam report says that we talk about mitigating and compensation. 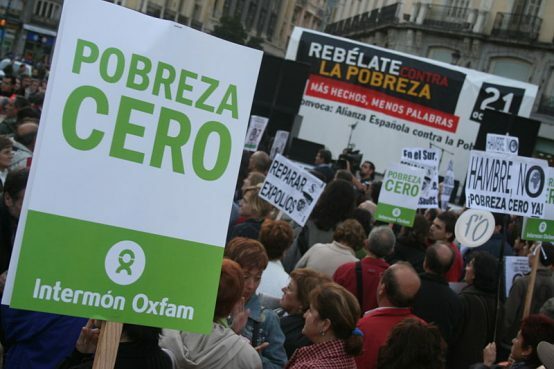 We don’t talk about reforms that make them more permanently better off, says Oxfam. That analysis should be more nuanced. We agree on a lot of your recommendations. We need a more systematic approach on how we cover inequality. We wanted to allow teams to experiment in surveillance. Let 1,000 flowers bloom and now we are starting to put that all together. Your report will be central to that work. You also recommended we leverage our general equilibrium model more, not just tax and subsidies. Well, I am happy to announce we will do a gender impact assessment with the general equilibrium model, starting with Argentina and Senegal, in a new wave of pilots we have launched. More broadly, I think Oxfam might have had too big expectations. We are limited with our institutional mandate, but we are trying to move forward as best and as fast as we can on this. Question: It seems to me like the test for seeing whether the Fund really considers this core to their work or whether it is secondary is how it will deal with inequality in an economic crisis. Can this be prioritised during a crisis as well, or can it only come in surveillance when things are relatively better? Question: We have heard a few times this week IMF staff seem prepared to conduct these impact assessments and expand their work on economic as well as gender inequality, but now we are getting to a capacity issue, rather than perhaps limits stemming from the Fund’s mandate. How much do you foresee capacity becoming an obstacle to this agenda and how do you see your relationship with other institutions like UN Women perhaps expand to help address the Fund’s limited expertise in this. On the capacity issue, we do admit that on the new areas we have less expertise. These are core issues for us, Lagarde was clear on that this week. But we do recognise that we need to collaborate with other organisations more, we have been cooperating with UN Women, like in the UN High Level Panel on Women’s Economic Empowerment. Now we are starting to work more with the ILO on macrostructural issues as well. For years we have been collaborating with World Bank. We do need resources, the model and all the research has so far been financed separately by DFID. They have also financed a lot of our gender-responsive budgeting work. We do need to lean more with other organisations. On conducting ex-ante impact evaluations, we have already for years been looking at distributional implications of certain policies. Perhaps this is not advertised widely, we did this for subsidy cuts for 20 years. In Angola for example, we removed energy subsidies and looked at distributional implications. That is published. In 2007 I also worked on a Philippines Working Paper on VAT and looked at distributional impacts then. Discussions continued but BWP staff had to leave early due to conflicting commitments.